Kundalini Yoga as taught by Yogi Bhajan® is also known as the Yoga of Awareness; its focus is on self-awareness and delivering an experience of your highest consciousness. The technology of Kundalini Yoga is a science of the mind and body; its purpose is to elevate the spirit, which has no boundaries and no discrimination. It is therefore,for everyone; it is universal and nondenominational. In the ancient tradition of yoga, Kundalini Yoga as taught by Yogi Bhajan® is a householder's yoga; it has always been practiced by those with families and work, as opposed to a life of celibacy and isolation, which was the usual path of a yogi. 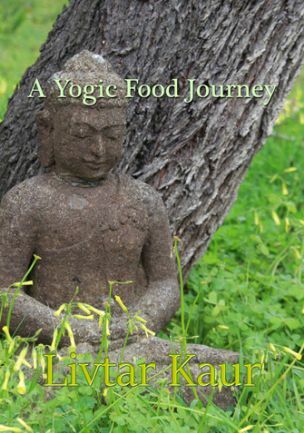 Livtar Kaur & Livtar Singh (Llyn & Ian) offer Kundalini Yoga classes in Fareham and Gosport. These classes are open to all, irrespective of age, flexibility or agility. Kundalini Yoga classes in Gosport continue throught the spring and summer. These are led by Ian (Livtar Singh) or a guest teacher. Kundalini Yoga classes continue throughtout the spring and summer in Fareham. These will be led by Llyn (Livtar Kaur) or a guest teacher. Classes continue to be held in our studio in Alverstoke. These consist of Kundalini Yoga classes and Sound workshops, including 'gong' work. View the new Alverstoke classes. Looking for music, books, etc..
Our shop provides a whole range of yoga books, CDs, DVDs and products. Monday evenings:Monday evenings: 7.00 p.m. to 8.15 p.m. Location: Fareham Methodist Church, Kings Road, Fareham, PO16 0NU. Thursday evenings: 7.30 p.m. to 9.00 p.m. Location: Fareham Methodist Church, Stoke Road, Gosport, PO12 1JB. If you are interested in joining one of our classes, or would like more information, please ‘Contact us'.